EJIL: Talk! – Jones v UK: The re-integration of State and official immunity? Home Human Rights Effective Remedy Jones v UK: The re-integration of State and official immunity? Jones v UK: The re-integration of State and official immunity? 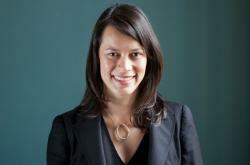 Philippa Webb is Lecturer in Public International Law at King’s College London. She is the co-author, with Lady Hazel Fox QC, of the third edition of The Law of State Immunity (OUP 2013). As regards the immunity of the State, the 6-1 decision in Jones and Others v the United Kingdom to uphold the immunity of Saudi Arabia was to be expected: in the Jurisdictional Immunities Judgment, the principal judicial organ of the UN clearly stated that that there was no exception to State immunity for jus cogens violations. The Fourth Section of the ECtHR felt no need to examine national developments in detail as the ICJ Judgment must be considered as ‘authoritative as regards the content of customary international law’ (para 198). The razor-thin majority of the Grand Chamber in Al-Adsani 13 years ago has now been buttressed by both the ICJ and the Fourth Section of the ECtHR. But the decision in Jones to uphold the immunity of the State officials even in the face of allegations of torture is more surprising. It stretches the meaning of the ICJ Jurisdictional Immunities Judgment and goes against two emerging trends: (1) accountability of non-high ranking State officials for serious human rights violations; (2) the diversification of various forms of immunity. Let me take these issues in turn. As the ECtHR Chamber acknowledges (para 92), the ICJ emphasised in the Jurisdictional Immunities Judgment that it was addressing ‘only the immunity of the State itself from the jurisdiction of the courts of other States; the question of whether and to what extent immunity might apply in criminal proceedings against an official of the State is not in issue in the present case’ (para 91 of the ICJ Judgment). Yet, the ECtHR followed the ICJ’s Judgment with respect to the immunity of State officials as well as that of the State. In its 2012 Judgment, the ICJ had been silent as to immunity of a State official from civil proceedings, but it was clear that the Judgment was focused on the State itself and arguably even limited to ‘acts committed on the territory of the forum State by the armed forces of a foreign State … in the course of conducting an armed conflict’ (para 65). The ICJ’s earlier Arrest Warrant Judgment had only addressed the immunity of high-ranking officials (immunity ratione personae) so the Jones v UK Judgment was an opportunity for an international court to consider the immunity ratione materiae of lower ranking officials in civil proceedings. The ECtHR rightly found that the State practice in this field was in a ‘state of flux’ (para 213), but what it took from that fact was that it was satisfied that the findings of the House of Lords ‘were neither manifestly erroneous nor arbitrary’ (para 214). It noted but did not engage with the debates about the understanding of the definition of torture, the relationship between attribution and immunity, and the territorial scope of the Torture Convention (paras 206-8). In the third edition of The Law of State Immunity, published a mere five months ago, Lady Hazel Fox QC and I observed that ‘the alignment between State immunity and the immunity of State officials appears to be shifting’ (Chapter 18). We suggested that the ICJ’s rejection in the Jurisdictional Immunities Judgment of an expansion of the restrictive doctrine of immunity to include acts in violation of jus cogens norms reverts, in respect of State immunity, to its absolute nature in respect of acts committed during armed conflict. But, we noted optimistically, the ICJ expressly confined its ruling to the State ‘leaving the law on the immunity of State officials in respect of the commission of the same acts to develop independently’. The ICJ introduced the possibility of an immunity of a different scope for State officials in respect of the commission of the same acts as a State – a situation that was already to be found in the varying scope of immunities of immunities enjoyed by international organizations, diplomats, consular officials, and visiting armed forces. Jones v UK puts the brakes on the independent evolution of the immunity of State officials by re-integrating or re-aligning that immunity with that of the State. The Judgment emphasises that an act cannot be carried out by a State itself but only by individuals acting on its behalf and that State immunity must not be circumvented by suing named officials. It endorses the ‘pragmatic understanding’ that the definition of ‘State’ includes its representatives (para 202). But this symmetry between the State and its officials (and between State immunity and attribution of responsibility) has been breaking down. The Samantar v Yousuf decision of the US Supreme Court recognised that State officials did not fall within the statutory definition of ‘State’ in the FSIA (and the ECtHR’s treatment of this case at paras 122-4 is not entirely convincing). And, more broadly, as Dapo has written on this blog, there are circumstances in the immunity of the State official and the State are not aligned, such as when a State is held accountable for an act jure gestionis but any official involved will be immune if they acted in their official capacity. The applicant’s arguments in this regard are pretty compelling (para 171). By upholding immunity for torture, the Jones v UK decision confirms that we are in a strange situation: immunity is regularly waived for commercial activities, personal injuries committed in the forum state, and employment disputes, but remains firmly in place when torture is committed. As Judge Kalaydjieva notes in her Dissenting Opinion, the ECtHR has had no problem with waiving State immunity in disputes concerning employment at embassies (Cudak v Lithuania, Sabeh El Leil v France). The distinctions being drawn in immunities cases – civil/criminal, procedural/substantive, employment/human rights – are hard to reconcile with broader movements for accountability at the international level. Philippa, I believe that para. 91 of Germany v. Italy (which is an OBITER, thus an unnecessary paragraph)lends itself to an interpretation that is diametrically opposed to what you infer. In pointing out that ‘the question of whether, and if so to what extent, immunity might apply in CRIMINAL proceedings against an official of the State [was] not in issue’, the ICJ seemed to refer to uncertainty in the law only as regards State officials’ immunity in criminal cases. A contrario, the silence about civil proceedings can be taken to imply that, in the ICJ’s view, the law is clear as far as civil cases involving claims of compensation for grave breaches of human rights are concerned, i.e. officials are shielded by immunity rules exactly as (or because) their States are (i.e., the position held by the HoL in the Jones case). Similarly, although the ECtHR’s judgment frequently assumes uncertainty both as regards civil and criminal cases, it also makes clear that there are a host of indications that militate in favour of removing immunity in criminal proceedings involving torture (see espec paras 207 and 212, and compare with paras 210-211). Then I entirely agree with your conclusion on the ‘strange situation’ and on the ‘controversial distinctions’ emerging in the law of international immunities (something which, as regards the distinction between civil and criminal cases for the purposes of officials’ immunity, preoccupies the ECtHR itself, see para 212). This Judgment, in my view, makes it even more difficult to explain this ‘strange situation’ to law students. I don’t understand why the Chamber did not relinquish jurisdiction in favour of the Grand Chamber. The case clearly involved serious questions of interpretation of the ECHR. This is obvious with respect to the immunity of State officials for crimes, which was an unprecedented and complex issue before the Court. But, in my view, relinquishment was also necessary for the test of proportionality/alternative remedies as applied in STATE immunity cases. Yet, the Court explicitely refused to relinquish jurisdiction in the latter regard, and at the same time refrained from clarifying the issue (this would require more elaboration; thus, I stop here; see however paras 193-195). I do hope that the applicants will request referral to the Grand Chamber; in such a case, it would be unbelievable, for me, if that request would not be granted, also considering the very last words of the Court (‘However, in light of the developments currently underway in this area of public international law, this is a matter which needs to be kept under review by Contracting States’, para 215). Be careful, tomorrow you may be in breach of the ECHR!